Nice like new home in desired Elgin school district. Builder will provide 1 year home warranty, install 250 ft. of wood privacy fence, and pay $5000 of a buyer&apos;s closing costs. 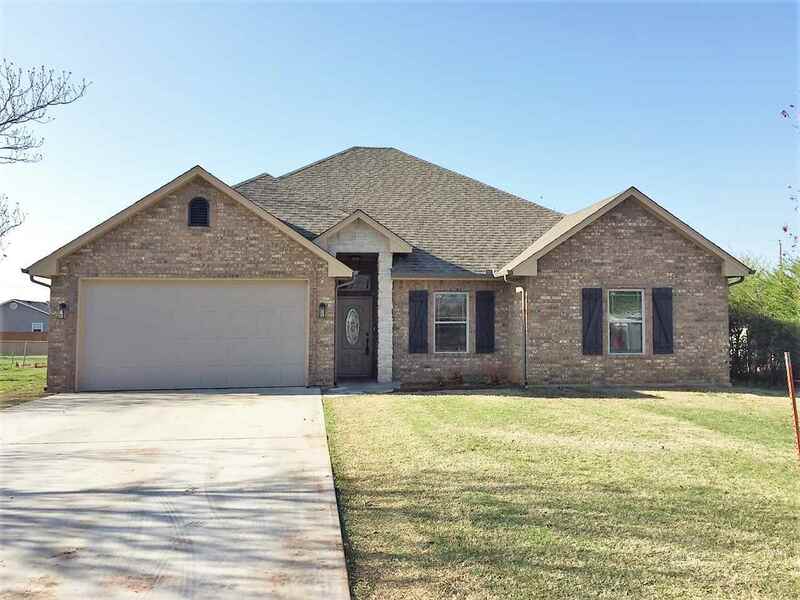 This open floor plan has 4 bedrooms, 2 baths, and 2 car garage complete with sodded yard. Natural gas heat, hot water heater, fireplace, and range. Eat-in kitchen has granite counter tops, breakfast bar, corner pantry, and stainless appliances including refrigerator. Beautiful custom built cabinetry and trim detail throughout home. Tile that looks like wood has been installed throughout home except bedrooms making clean up a breeze. This home is a must see and priced to sell! Dining Room Size: 12&apos;1" X 8&apos;5"
Kitchen Size: 16&apos;4" X 11&apos;6"
Living Room Size: 20&apos;3" X 18&apos;8"
Master Bedroom Size: 19&apos;2" X 12&apos;1"
Utility Room Size: 6&apos;2" X 5&apos;3"